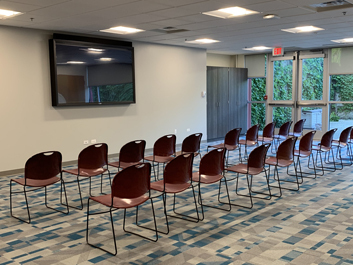 Interested in booking the Community Room? All events held in the Community Room are open to the public. *Use of the Community Room does not constitute Lansing Public Library endorsement of viewpoints expressed by participants in any program. Any person needing an accommodation for a disability at any program should contact the Library Director, Lansing Public Library by telephone at (708) 474-2447 or in writing five working days prior to the program.